A complete system to transport cartons, stock shelves, manage cardboard, and address aisle safety. Ideal for stocking shelves and picking inventory. Steel reinforced molded structural foam decks won't rust, dent, or require painting. BoxMate Cardboard Management System feature helps keep aisles clear. Dry erase identification placecard and work surface available on some models (9T45, 9T52). Up to 1800 lb. load capacity. Hinged Deck Model (9T45) easily converts from full-size to half-size truck. 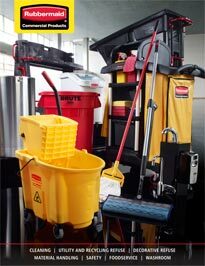 Wide range of accessories to enhance productivity and safety.